According to Safelite Auto Glass there are some bad habits that can hurt our vehicles. Safelite says that according to Cars.com, having too much weight in your car can put unnecessary stress on some of its critical systems, leading to premature wear. Too much weight makes your engine work harder than it should. Here’s what you can do: Take a close look at what’s in your car. Can you remove some of the stuff that’s in it? So you notice a tiny speck or chip in the corner of your windshield? It’s not in your way. You can still see so it’s no big deal right? Wrong. That tiny speck can turn into a giant crack requiring a full windshield replacement if it’s ignored. Another factor to consider is the cost of repairing a small windshield chip. It’s usually much lower than replacing an entire windshield. What you can do: Get the chip repaired immediately. Auto Glass Maxx technicians use some of the highest quality materials on windshield repairs. You want to keep an eye on your tires. It’s critical to the health of your car and possibly you or someone else. Don’t just look at the tire tree. Pay attention to your tires pressure. The National Highway Traffic Safety Administration (NHTSA) found that under inflated tires are up to 25 percent more likely to overheat, fail and cause an accident. Tire tread is also important, since not having enough tree can cause skidding, shaky steering and vibrations. Even if your tires look good to you it doesn’t mean they are good. 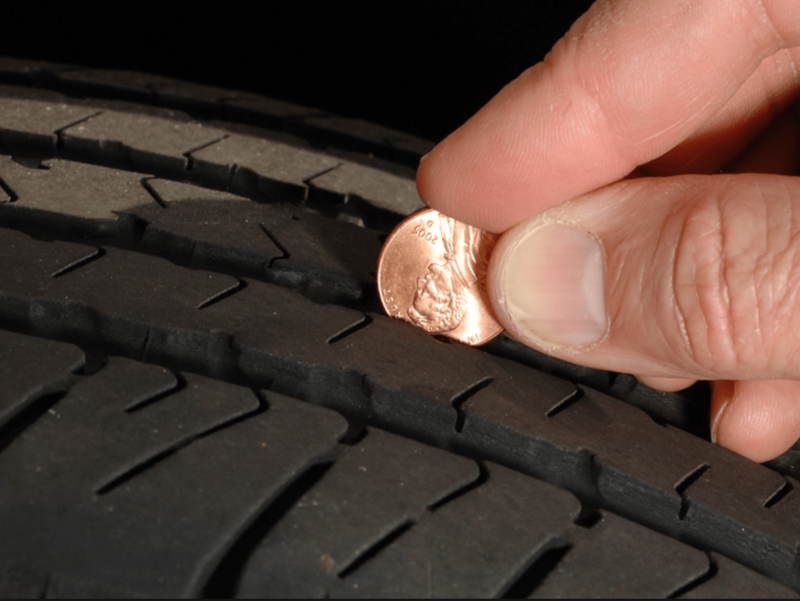 What you can do: Check your tire pressure and tread depth often. You can use a penny to check depth by inserting the ‘heads” side down into the tread. If the entire head is visible, you don’t have enough tree. A good rule of thumb is keeping your tires at 2/32″ tread depth minimum. When you park your snow or ice-covered car in a warm garage, the heat melts the fluids which mix with salt from the roads. This combination sits in puddles on or near your car, and increases the risk of oxidation (also known as rusting). What you can do: Instead of keeping your car in a headed garage, try a non-temperature controlled garage or covered space. Your vehicle will still be protected from the harsh winter winds and snow, but won’t succumb to melting salt, ice and rust. If you have no idea what’s going on with your vehicle, how do you know how serious the repair will be? You also won’t know how long the repair will take or how much the bill will be. Proactive car “health” care is the best way to take care of your car. What you can do: Research the symptoms of problems your car is having before you visit an auto mechanic. This way you’re a little more prepared for the diagnosis and repair plan, and you’re not caught off guard. More importantly, you’re not taken advantage of. Studies have shown that some auto mechanics take advantage of ignorance by charging more than they would for a more educated customer. Check out great coupons for Auto Glass Maxx on LocalSaver! I got a new windshield placed in my ES 330 Lexus. They took only 40 minutes at the most. They did a great job. Good price as well. Price can not be beat. I called several places for quotes on replacing my windshield and it was outrageous. Of course I wasn’t only sold on their price, but also on the other reviews. My windshield was in stock, the service was quality and I was out in less than an hour. I recommend this place, everyone was really friendly. You won’t find better customer service or pricing than this shop. Charles and his staff diagnosed and fixed a mystery leak under my console and pointed out the mistake made by my former repair shop which caused it. They were courteous, friendly and informative throughout the process and even vacuumed out the water and polished my clouded headlight cover. I will be back, and highly recommend you try them out, too.